Find all the furious fowl and their porky arch-enemies. Can you spot the birdies – and the piggies? 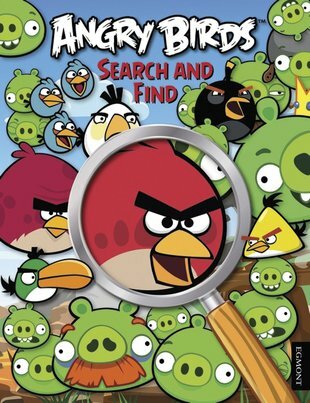 Yup: as the Angry Birds search high and low for their hidden eggs, it’s your turn to see if you can find them. This cool book gives picture-puzzling an extra edge, challenging you to spot the feathered furies and the nasty Bad Piggies. Do you have the eagle eyes to spot them all – or will you end up in a blind rage?